ORIGINALLY POSTED BY LAWRENCE G. RICHARDS OF LIVING DIAMOND RANCH AS ‘COLOR INHERITANCE IN NORTH AMERICAN YAKS’ IN AUGUST, 2015; Edited By Nicole Porter-Salvato September, 2018. Golden: Goldens have, you guessed it, a golden honey brown color, but can vary from light red to a more brownish red. These beautiful creatures are rare and the gene that creates this color is recessive, which some believe they are the remnant of nomadic cross-breeding with cattle. More genetics research by IYAK is needed to see if this is the case in our registry. THE RESEARCH IS IN: WHITE YAKS ARE NOT REALLY YAK. White yaks are more common in Asia, but whether in North America or on the Tibetan Plateau, researchers agree there is only one way to get a white yak - hybridize. Hybridization is the controversial practice of mating two different species that do not normally mate to derive new genetic characteristics. A research study in 2015 shows that the Tianzhu white yak in Asia is less genetically similar to yak (Bos mutus gruinnins) than are the American Bison (Bai, J, et al., 2015). Which is odd because while bison is our closest relative, it is a whole different species (Bison bison). Another study in 2012 demonstrated that there were known cattle mutations that occur to create the white coat color (Qui, Q, et al. 2012). This is important because it is the result of 2 species crossing (Bos mutus gruinnins x Bos taurus or Bos indicus) - creating a hybrid species. Not exactly a yak. These hybrids are helpful to ranchers breeding yak for meat production, but these terminal animals should not be bred themselves. You may have heard the term Genetic Pollution bandied about in the media and by Conservation Biologists at the United Nations. Genetic Pollution is used to describe gene flows between modified or domesticated species and their wild relatives. The opposite of Genetic Pollution are True Genetic Breeds. These True Genetic Breeds are important to folks protecting Heritage Breeds, like the Livestock Conservancy, because well, - extinction. Trims: Trims typically display a white star or stripe on their forehead. Rear legs, and sometimes all four legs, have white socks and 1/3 to 1/2 of the tail may be white. We have seen full white tails in Trims which is considered a wild-type ancestral remnant (Wiener, G. 2014). The amount of white does not determine if the animal is a Trim; even a small expression of white qualifies the animal as a Trim. There are three Trim colors: Native Black Trim, Imperial Trim and Golden Trim. Pattern inheritance is very simple. Royals are homozygous for the Royal color pattern. Trims are heterozygous for their color pattern and Solids are homozygous for the solid pattern. The mode of Royal inheritance is incomplete dominance where the heterozygous genotype results in a partial expression that we designate as the Trim phenotype. When you register your animal with IYAK we provide proprietary genetic testing and analysis that gives you information about the specific genes that your animal carries that influence coat color. This can help you reach your breeding goals by letting you know which animals are more likely to give you the desired outcome and which you should cull. 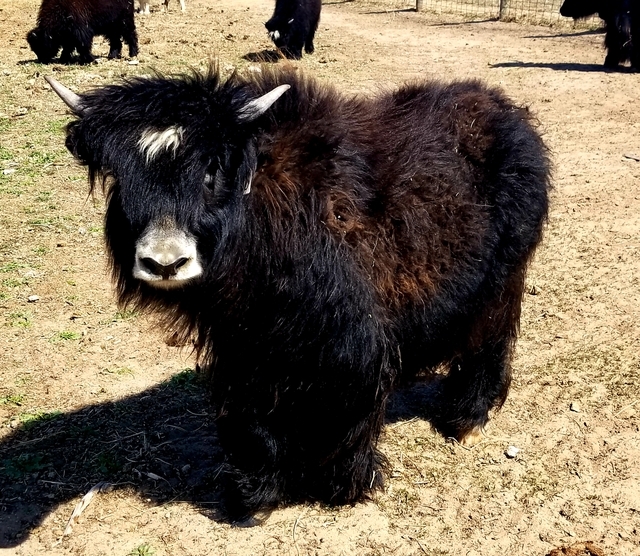 For more information see Reading Your Genetic Registration Report (here) and IYAK Genetically Outperforming Tibetan Yak (here). Nicole Porter-Salavato is one of the owners of Prairie Sky Ranch, a horse and Tibetan yak ranch in South Western Wisconsin. She’s trained in epigenetics and epidemiology, an avid IYAK supporter, BOD member and yak lover. She and her husband, Dan, love to talk about yak and are always available to answer questions or provide resources. Larry Richards of LIVING DIAMONDS RANCH has been raising yaks since 1988. 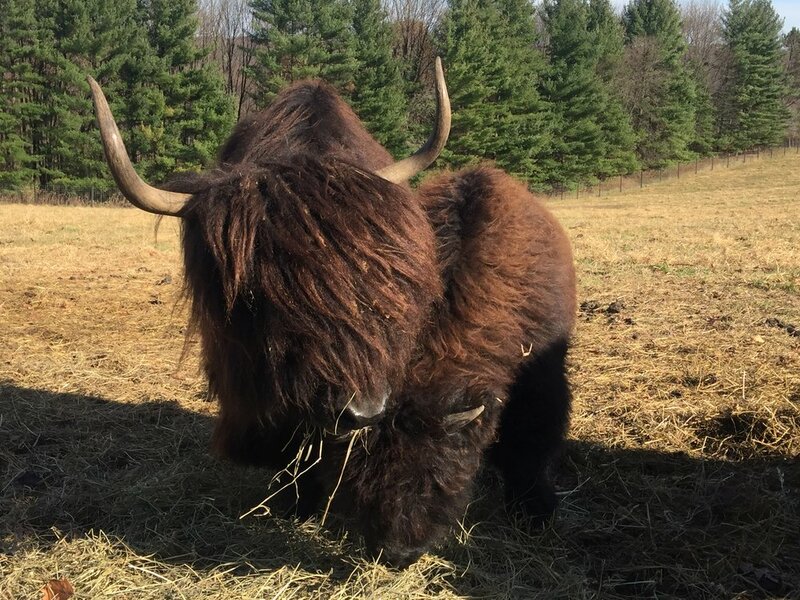 He is a CO-FOUNDER of IYAK and has 6 to 8 generations of intense selective breeding all registered with NAYR, including 7 NWSS Grand Champion Females. 8 NWSS Reserve Grand Champion Females. All in the more competitive breeding stock Pen Show 2009 thru 2019.